© AFP/File SAUL LOEB, Ed JONESA composite photo of Kim Jong-un and President Donald Trump. North Korean leader Kim Jong-un has invited US President Donald Trump to meet, and said his country would refrain from further nuclear and missile tests. The announcement was delivered by South Korean national-security officials on Thursday evening after they briefed their US counterparts about their recent trip to North Korea. The White House says a timeline for such a meeting has not yet been determined. 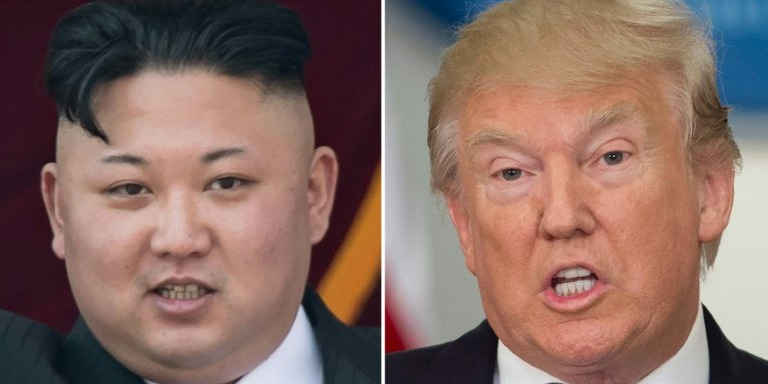 North Korean leader Kim Jong-un has invited US President Donald Trump to meet and said his country would refrain from further nuclear and missile tests. South Korean National Security Office head Chung Eui-yong and National Intelligence Service chief Suh Hoon arrived to Washington, DC this week to brief their counterpart, national security adviser H.R. McMaster, on new diplomatic overtures from North Korea. “And he expressed his eagerness to meet President Trump as soon as possible,” Chung continued. Chung said Trump “appreciated” the briefing, and agreed to meet with Kim Jong-un “to achieve permanent denuclearization.” The White House said a time and date for that meeting has not yet been determined. White House press secretary Sarah Huckabee Sanders confirmed that Trump had accepted the invitation. She also emphasised that the US’s strict sanctions against North Korea, which were leveled in part because of the regime’s missile-test activity, will remain in effect. South Korean President Moon Jae-in praised the outcome through his spokesperson: “The May meeting will be recorded as a historic milestone that realised peace on the Korean Peninsula,” Moon reportedly said. “In particular, the leadership of President Trump, who gladly accepted Chairman Kim’s invitation, will receive praise not only from people in the South and the North, but also from people around the world,” Moon continued. 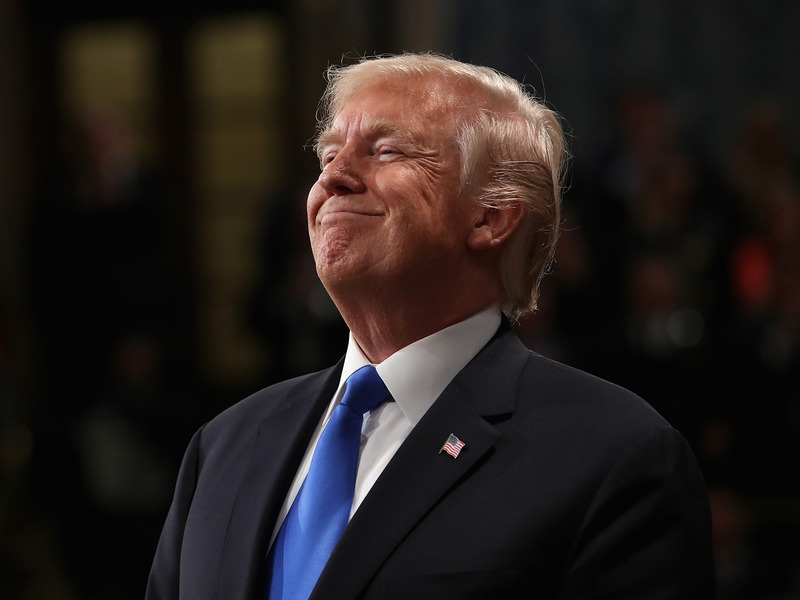 Earlier on Thursday, Trump teased that a “major announcement” would be made: “Hopefully, you will give me credit,” Trump quipped, according to ABC News journalist Meredith McGraw. Beginning in January, North Korea made several diplomatic moves to indicate a willingness to negotiate with the US and South Korea. Following its participation in the 2018 Winter Olympics, the North conducted several meetings with officials from the South, including President Moon. In the meeting between South Korea’s envoy and Kim Jong-un, North Korea proposed a summit with Moon in April – the third such summit between the two Koreas since the Korean War. “I hope they are sincere. We’re going to see and find out,” Trump said. Kim Jong-un’s apparent verbal commitment to denuclearization, if he follows through with it, would be a significant victory for the US. Denuclearization is the key precondition for diplomatic engagement, as outlined by the Trump administration. “I think it’s – we just need to be very clear-eyed and realistic about it,” Tillerson said during a press conference from Ethiopia. Japan, a country that has often witnessed North Korea’s missiles flying overhead, announced that Prime Minister Shinzo Abe will be visiting Trump in April to discuss the recent developments with North Korea, Japan’s Kyodo News reported.